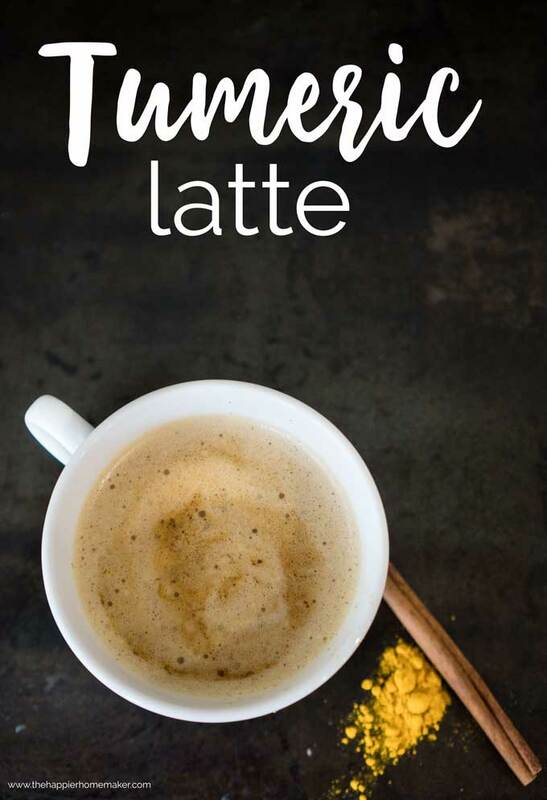 Turmeric Latte Recipe | Easy Way to Add Turmeric to Your Coffee! For months and months my mom has been mentioning how I should try to add turmeric to my diet and telling me the wonderful things she was noticing in her own health since doing so herself. Finally about two months ago I decided to try it. At first I didn’t know exactly how to add it in daily-especially after reading that it needs to be taken with black pepper for optimal results. I saw many recipes for turmeric milk online but I don’t drink milk except in my coffee each morning. 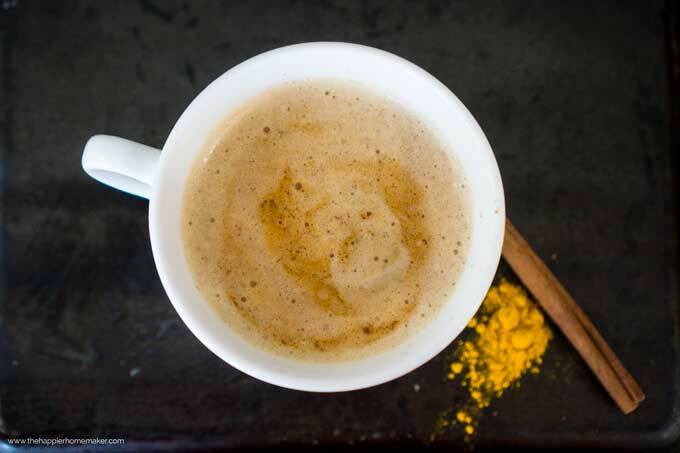 That gave me the idea to adapt the turmeric milk recipe into a Tumeric Latte and I’m telling you all-it is absolutely fabulous! 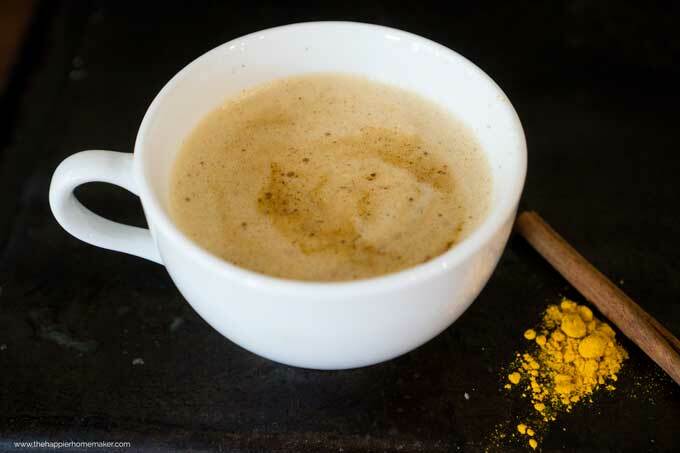 I now drink my coffee with this delightful turmeric addition every time I make it and now, so does my mom! It’s a wonderful spicy blend and believe it or not the pepper taste in there is addictive and perfectly compliments the coffee! Simply mix up this spice blend and add it to your coffee any way you like it. I add it in with one teaspoon of sugar and frothed milk to make a latte but you could easily adapt it as your tastes prefer. One note-the spices don’t dissolve in the coffee like the sugar so if you’re drinking slowly you’ll need to swish it around or stir to keep them from settling to the bottom of the cup. Want to try adding turmeric to your diet to reduce inflammation? 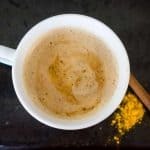 This turmeric latte is a delicious and easy way to add some spice to your morning coffee and get your turmeric at the same time! Mix the spices in a small jar or bowl. Add 1/2 teaspoon to each cup of coffee. Keep covered in an airtight container. I love this…and have switched it up, by leaving out the pumpkin spice and added orange rind…. or you could switch it out for anything you might think of. But, I have a question, would it need to be changed if put in the coffee maker with the grounds to brew 8 cups of coffee…. 2 teaspoons added to the grounds so that it’s already in your cup of coffee.